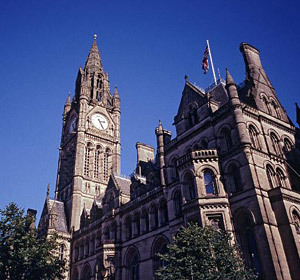 The city and county of Manchester is one of the largest metropolitan areas in Great Britain, with a population of over two and half million people. Queen Victoria (1852), "in her diary on Manchester"
Manchester tart - shortcrust pastry, filled with raspberry jam and a custard topping. 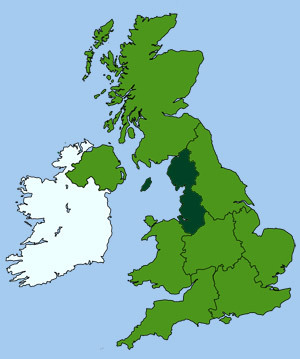 First mentioned in the Anglo-Saxon Chronicle, circa 920. Roman name Mancunium. The meaning of the term 'chester' relates to a Roman military encampment or town (Old English "caestre"). Man is shortened form of the word 'Mamucio' meaning breast shaped hill. Therefore Manchester literally means, 'Roman encampment on a hill'.